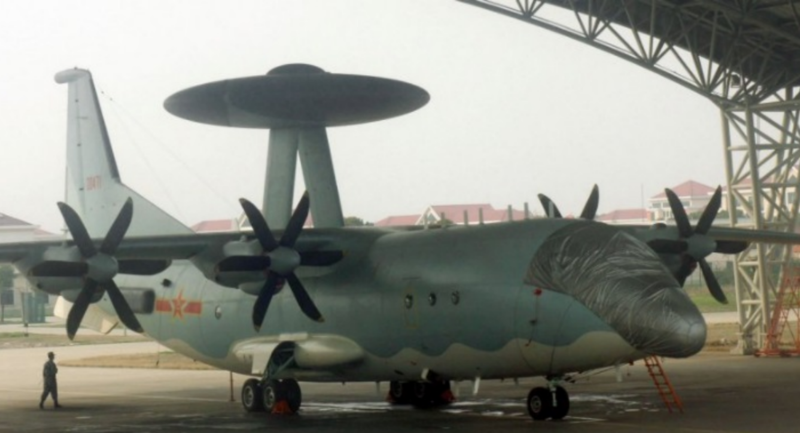 China has churned out several new KJ-500 airborne early warning aircraft, a sign that the nation’s defense industrial base may be rapidly maturing. Recent satellite images from the Shaanxi Aircraft Corporation's airfield in Hanzhong, Shaanxi Province, show the company has produced eight fresh KJ-500 early warning aircraft, Defense News reports. The images were captured in mid-December. That brings the total number of KJ-500s in the People's Liberation Army-Air Force from four to 12, expert Andreas Rupprecht told the outlet. The KJ-500 early warning aircraft are fitted with three large active electronically scanned array radars inside of the dome attached to the aircraft's roof. 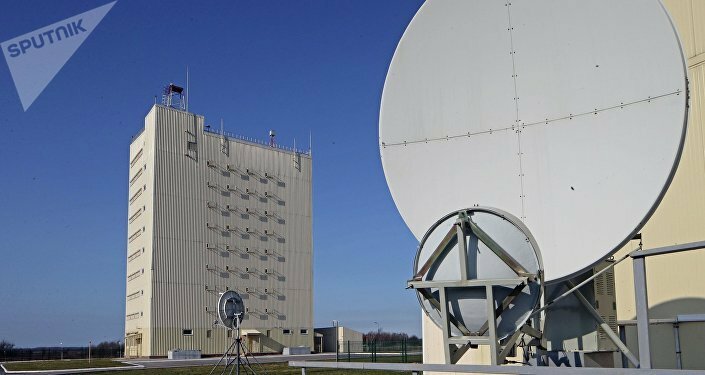 The radars are said to be products of China's 38th Research Institute, part of the China Electronics Technology Group Corporation. The large increase in KJ-500 aircraft demonstrates that the aircraft's design and technology is sufficiently developed to have become the standard for airborne early warning and control (AEW&C) aircraft for the PLA-AF and People's Liberation Army-Navy, said Rupprecht, author of the authoritative book "Modern Chinese Warplanes." Early warning aircraft allow an air force to track the locations of planes flying above and below the tracking airplane over a long range to detect incoming fighter jets or ocean-going vessels. China has been working on building its own AEW&C jet since the 1960s with relatively little success, according to War is Boring. China has worked on five different types of models. "An air force with one of these planes can see far more — and at much longer ranges — than an enemy without one. But by any measure, five different types of AEW&Cs is a lot," War is Boring notes. The US Navy has one version, the Grumman E-2 Hawkeye, which is still in service today after being introduced in 1964; the US Air Force has one version, the Boeing E-3 Sentry. China recently announced it was developing a sixth AEW&C plane, the KJ-600. Beijing-based military expert Li Jie said last month that the aircraft can detect Lockheed Martin's stealthy, fifth-generation F-35 and F-22 aircraft. The KJ-600 is reportedly tailored to carrier-based operations. Unconfirmed reports have floated since 2016 that Chinese radars are capable of tracking the F-22, when the People's Liberation Army claimed that it sent warships and helicopters to an area in the East China Sea after detecting the Raptor. Defense expert Dave Majumdar wrote at the time for the National Interest that "it's very possible that China can track the Raptor. Stealth is not a cloak of invisibility, after all. Stealthy technology simply delays detection and tracking."